Spike was having a good time with his friend. Things changed after he went out to buy the best hot dog in the city and haven't received it. 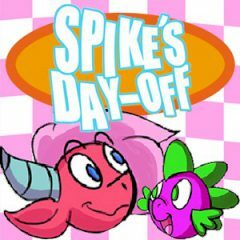 Spike is a friendly dragon who loves to help friend and people around. His friend asked him to buy some food and he went outside to buy a hot dog. While he was helping the salesman with the flame and temperature, other places were robbed and food there disappeared. It happens everyday in lunch time and you have to figure out who does it.